Dinosaur Comics - August 13th, 2013 - awesome fun times! 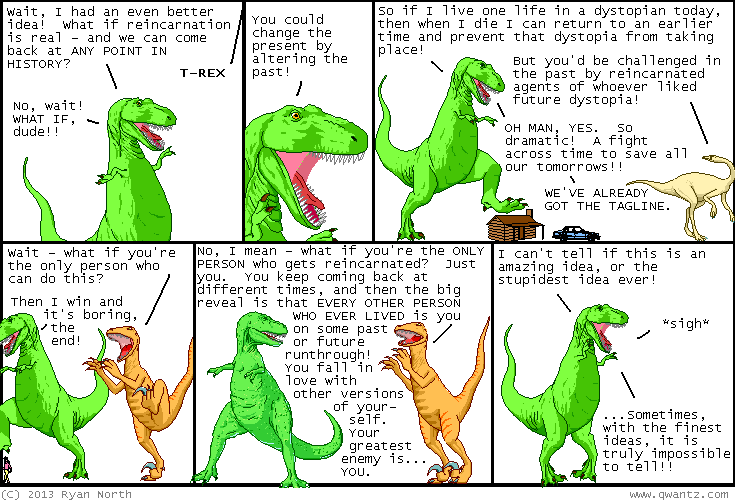 August 13th, 2013: Yesterday's comic about reincarnation got me a few emails saying "Hey if you like that idea you should check out Riverworld!" so if you liked that idea you should check out Riverworld!